Welcome to 6201 General Lee Ave! 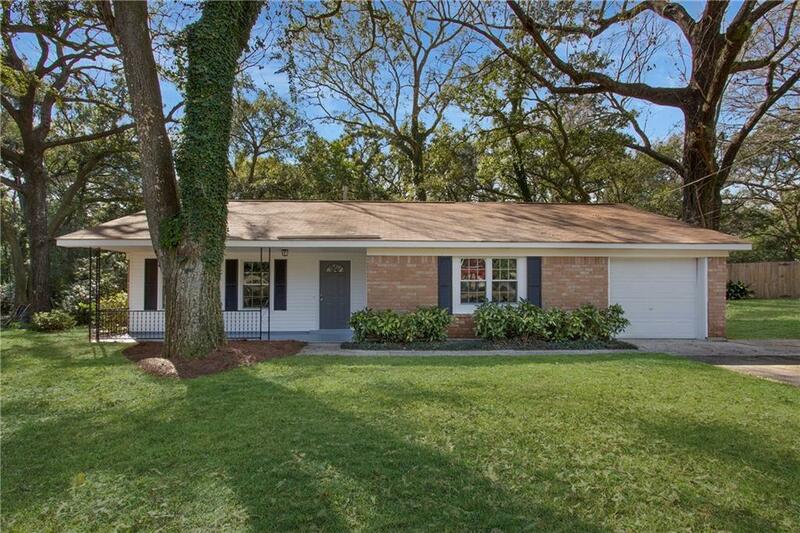 This home is completely remodeled and is a must see! The house features a split 4 bed 2 bath floor plan. It has both a living room and den, private dining room and a rustic enclosed porch on the back. The home has a fresh coat of neutral paint to go along with brand new waterproof vinyl plank floors and smooth ceilings. No Carpet! This kitchen is updated with new countertops, new black appliances, recessed lighting and a pantry. There is an attached single garage with garage door opener. Additional upgrades include new double pane windows, crown moulding and new fixtures throughout. The backyard is fenced with a new deck area and tons of room for the family. It is conveniently located between Three Notch Road and Old Pascagoula Road off Carol Plantation Rd. It is close to school, shopping, dining areas and has easy interstate access to 1-10 at Tillman’s Corner or Range line Roads. Don’t let this one get away from you! Call today for your personal tour!